Sony PlayStation's US division has moved quickly to dismiss reports from earlier this week, emerging from anonymous sources apparently within Sony Computer Entertainment Europe, that the company had plans to slash the price of the PlayStation 3 around March 2009.
packages around (or just under) the £300 mark this Christmas. Sony has constantly come under attack from some quarters for its strategy on PS3 pricing. "There are no plans for a price reduction on PS3 in March 09, and anything reported on or discussed otherwise is purely rumour or speculation." 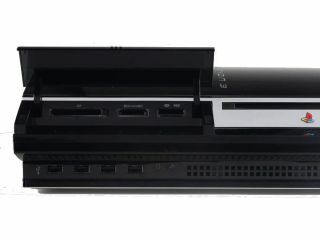 Edge quotes SCEA sales VP Ian Jackson, who recently told analysts at the BMO Capital Markets Interactive Entertainment Conference: "There is no product in the industry today on the videogame console market that delivers what a PlayStation 3 delivers for under $400, in the case of the 80GB."